This C. japonica chance seedling was originated by Frances Arras Ashcraft of Mobile, AL. 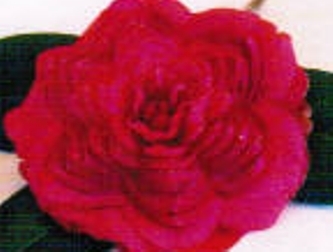 The 3.75" deep rose bloom is a formal double with incurved petals and shows consistent form. Bloom has 74 petals 'Cleo Gliddon Arras' is suitable for exhibition. Plant is suitable for landscaping. Has average growth rate and is spreading.